CLICK THRU for a Comic-Con-Q&A with Kirkland, for his impressions of the event, alongside generous pilferage of coverage from Kirkland's own blog, including an exclusive snap of Kirkland's SDCC-haul! 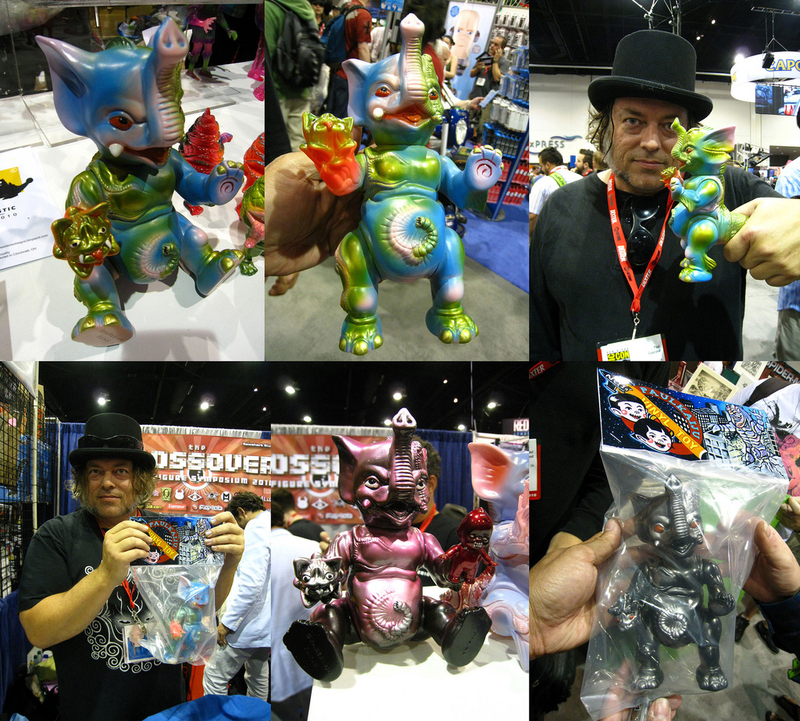 TOYSREVIL: How many years since have you attended+covered SDCC? KIRKLAND JUE: I think this is my fourth year at SDCC. kind of a late bloomer to the madness. 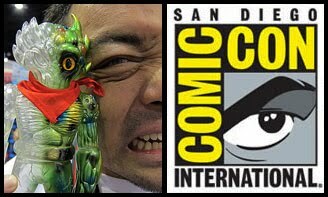 TOYSREVIL: What struck you the most about this year's SDCC, compared to previous years? KIRKLAND JUE: The sheer volume of toys being offered by an increased amount of artists that were not represented last year. 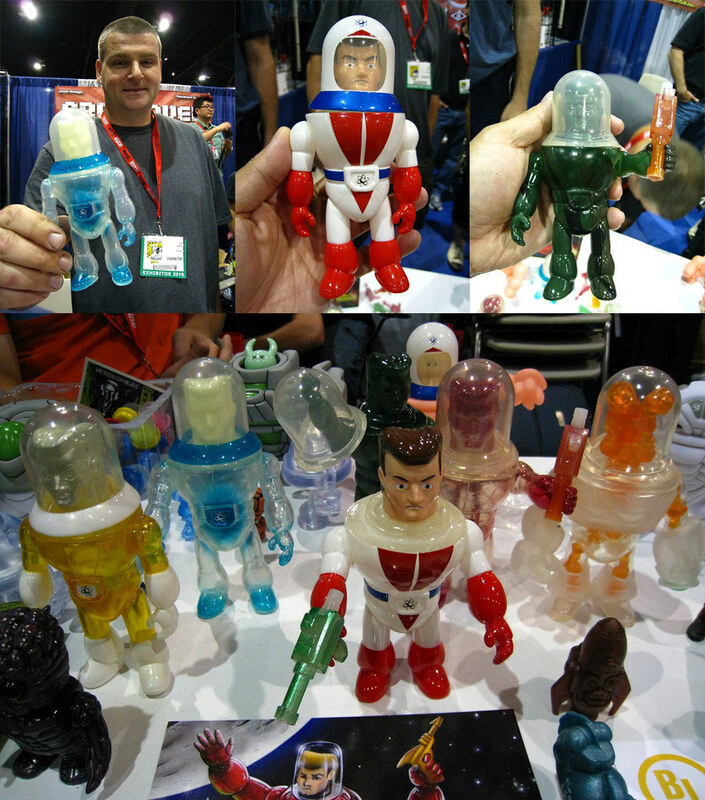 For example, Super 7 had something like 28 new toys at SDCC. 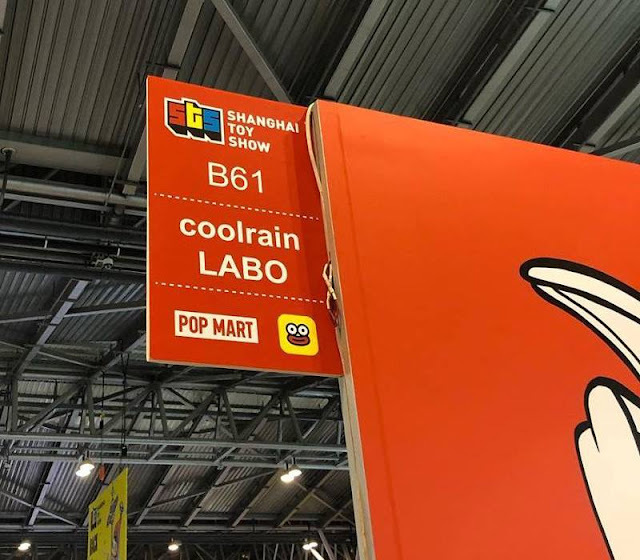 Gargamel had enough customs to keep fans coming back all week long. 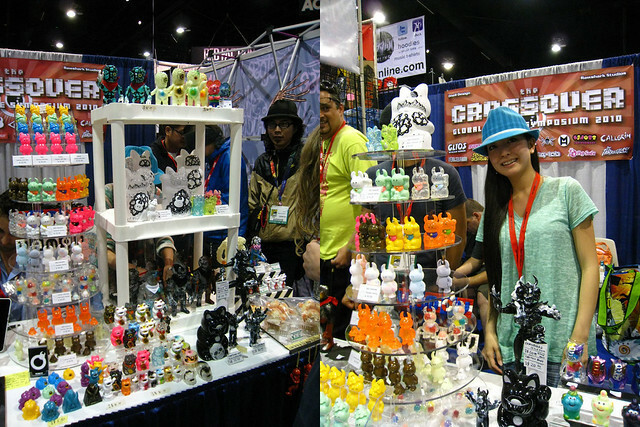 Datadub and Onell had 20-25 different American and Japanese artists represented in their little booth. It was insane. 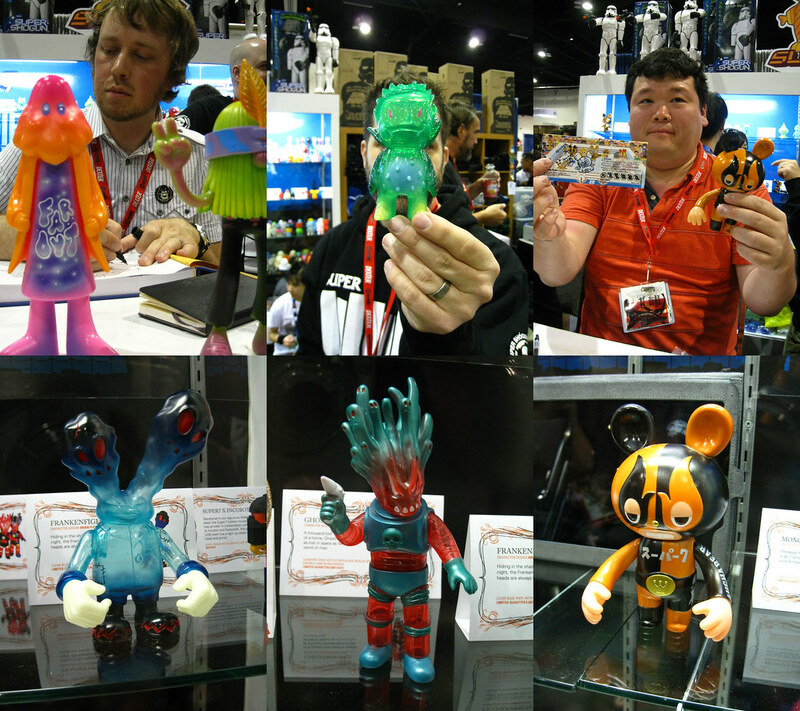 TOYSREVIL: What did you enjoy the most about this year's SDCC? Best Experience? 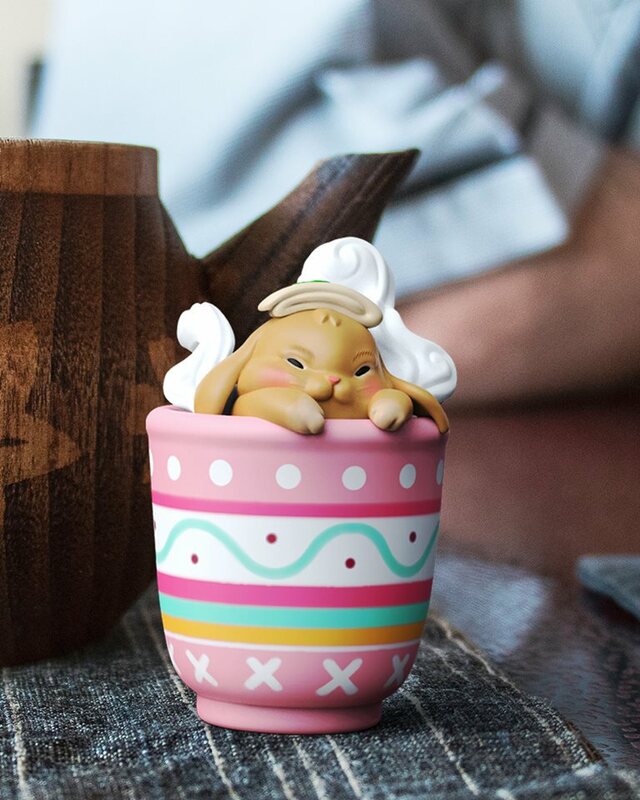 KIRKLAND JUE: On the toy scene, Gargamel had a full table of wonderful customs to choose from everyday. This was a first. 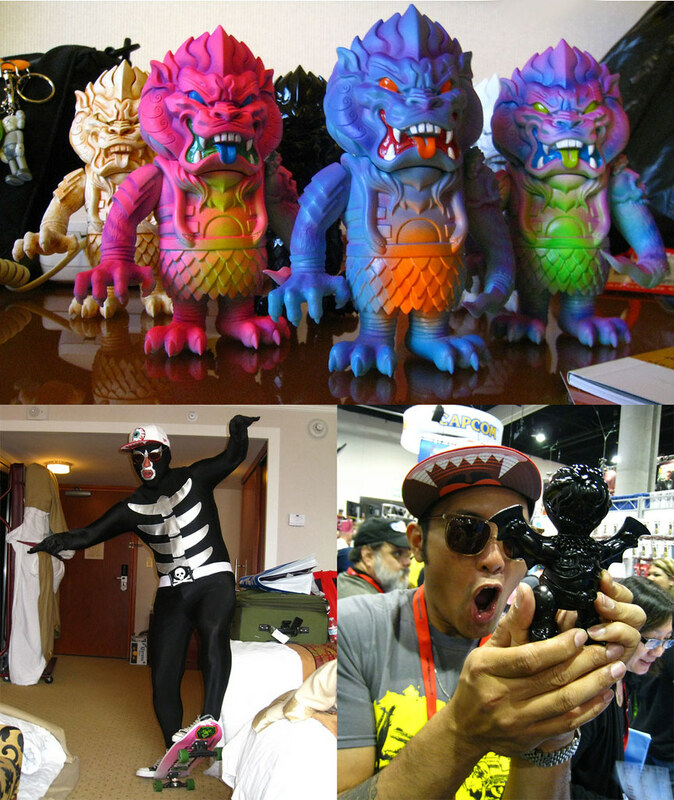 Super 7 showcased all of their Monster Family artists with 3 separate signings. My favorite event was the RealxHead release. 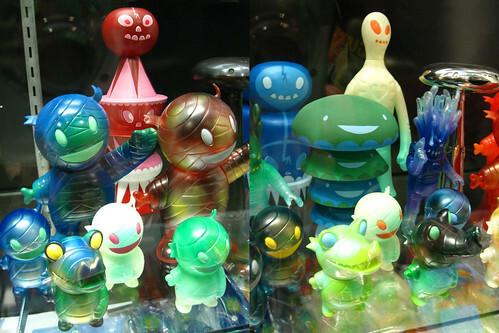 Mori surprised us all with his new sculpts and collaborations with Paul Kaiju, Lamour Supreme and Datadub. But really the Best Experience was hanging out with my toy buddies who normally I only get to correspond with on Skullbrain. 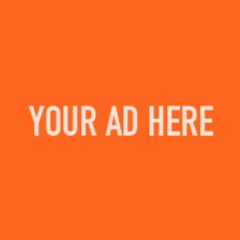 TOYSREVIL: What did you "enjoy" the least about this year's SDCC? KIRKLAND JUE: The lack of cash..lol... 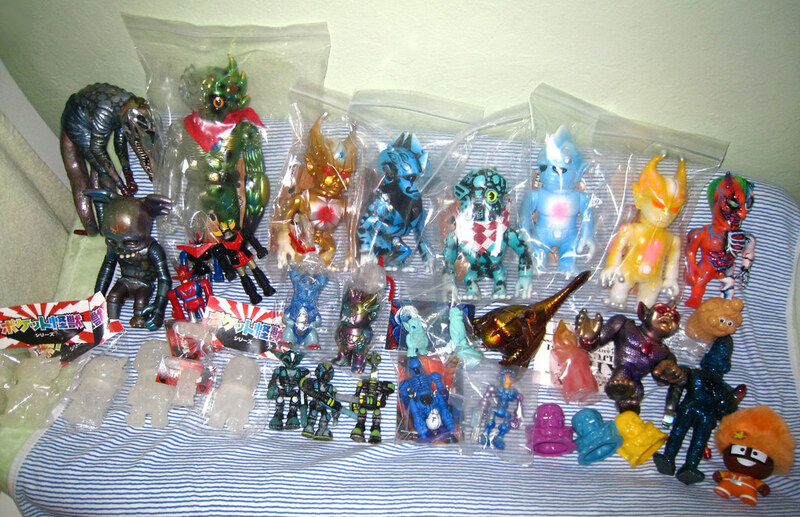 I was a bit disappointed with the exclusives from Hasbro, Mattel and Bandai as well. 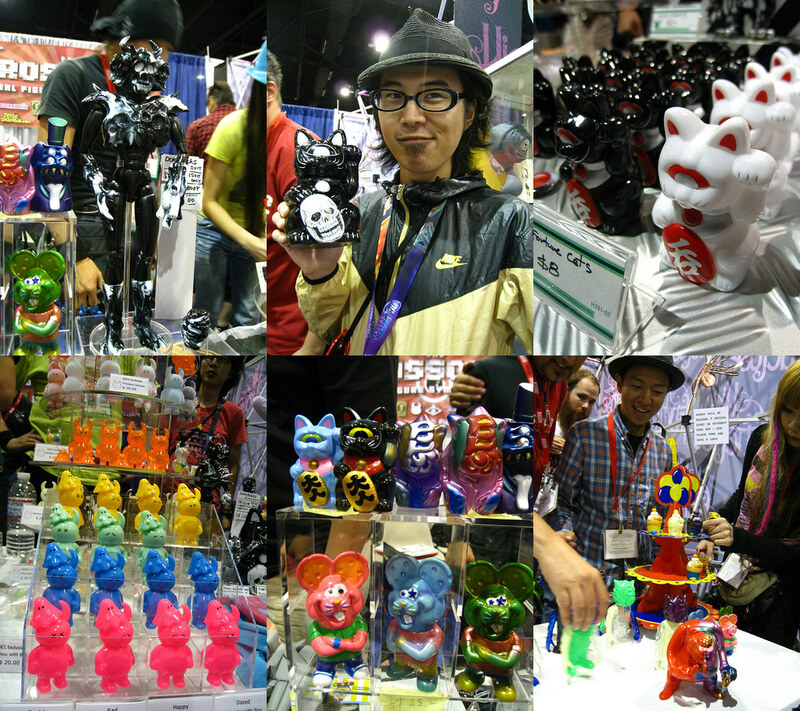 TOYSREVIL: What is your ultimate personal fav seen at this year's SDCC? 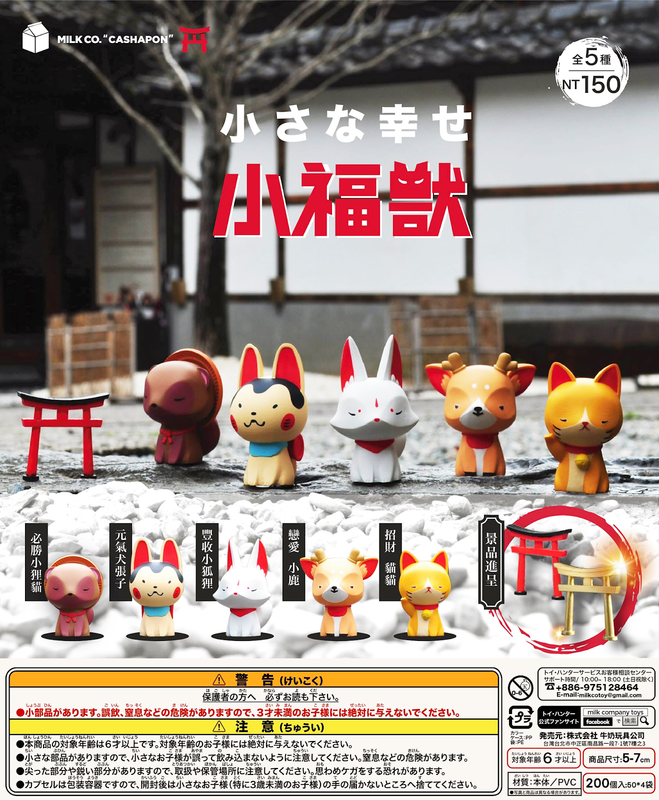 What product/toy struck you / caught your attention the most? 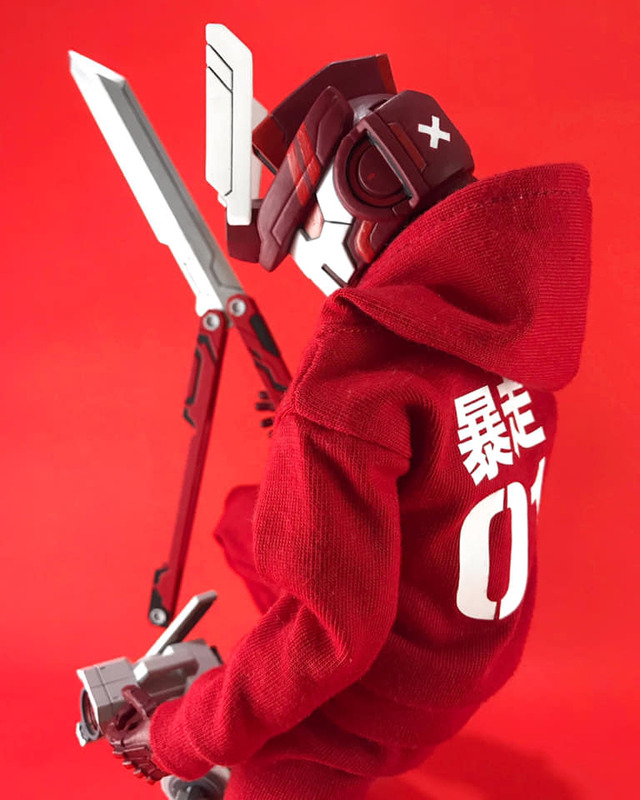 KIRKLAND JUE: Ack..! very difficult question. 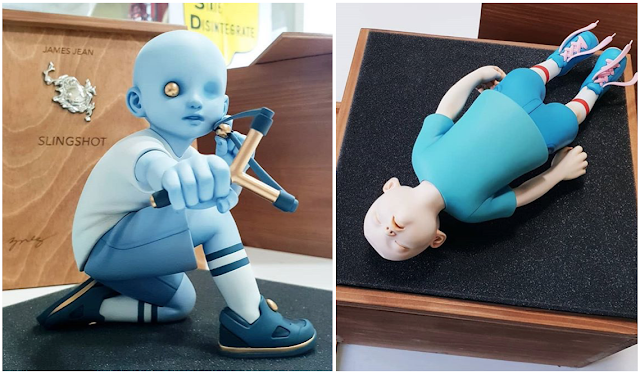 I would say the KaToPe Gargamel customs blew me away. Lamour Supreme custom Yamazakura, RealxHead x Onell clear green fade Pheyosman, the new Mirock x RealxHead collaboration and of course Mike Sutfin's Mad Battle Man..! 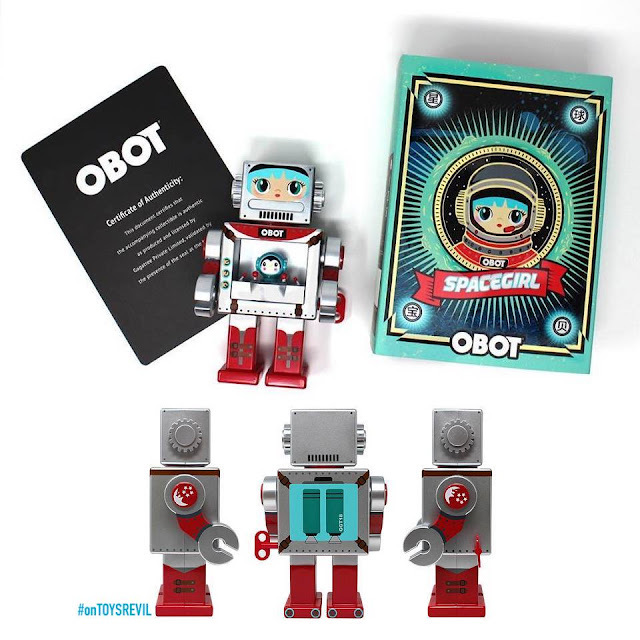 TOYSREVIL: Besides toys, what else do you look out for at SDCC?